Recently, I met with a visiting friend (who happens to be a canon lawyer) and we decided to sit in on Rome’s Theology on Tap, offered by some of the seminarians of the North American College to some of the study abroad programs that they work with for their “apostolates” (volunteer service giving them practice in some forms of ministry). 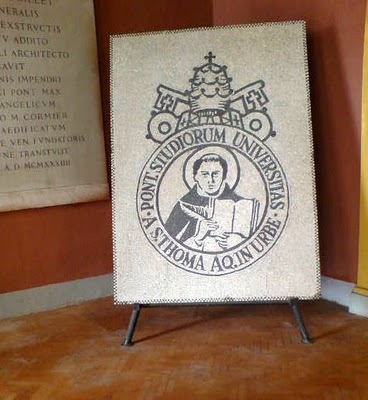 It is an interesting experience, to a professor of both U.S. undergrads and seminarians in Rome, because although neither the seminarians nor most of the undergrads present are in my classes, it still felt a little like I was listening to an oral presentation by one student that needed grading. I could not help myself. The Church teaches that priesthood and religious life (no mention of diaconate) are objectively a higher state than the laity. Subjectively, however, the universal call to holiness is equal for everyone in the Church. There is a difference between ministry and service. [Could not hear the definition]. Ministry is exercised only by the ordained. Lay people can only offer service. When you hear people talk about liturgical “ministry”, like a lector, this is really a service. The Lay Vocations are Marriage and Consecrated Life. Just as priests are committed to the Church, consecrated are committed to their communities, and married people are committed to each other. The Mission of the laity is exactly the mission of the whole church: Evangelization. [Missed something] You have the duty to correct your priests, professors, other leaders if you hear something wrong. My canonist friend and I come from different cultures of Catholicism, but both have an ecclesial vocation, as lay people, in ministry and service to the Church. And while we had different objections to some of the points, we were in accord that, unfortunately, not everything represented well the Church’s teaching. The Church itself, of course, is not always consistently clear on this topic, which occasionally adds to the confusion. First, he’s right on his penultimate point about the mission of the laity, which is the mission fo the Church. The laity are the vanguard of the Church’s mission, the clergy and other ecclesial ministers are there for support and leadership, but it is the laity whose first role is to go out into the world and get the real work of the Church done. The final point might have been a reference to canon 212, by which all the faithful have the right, and are even obligated, to make their needs and concerns known to the Church according to their expertise. Consider this an exercise thereof to avoid similar mistakes by others. Now the problematic points.Taken with a grain of salt, as i said, there was occasional cross-noise, so if i missed any clarifying comments or explanations to the points, the fault is mine. The Church itself does not make use of this “objective”/”subjective” distinction in terms of a person’s state. All are equal in baptism. All are equally called to holiness, as he pointed out. Where there might be some confusion is in distinguishing the ways we participate in the One Priesthood of Christ. All who are Initiated (Baptized, Confirmed, Eucharist-ed) have a share in Christ’s priesthood. This is the universal priesthood, the priesthood of all believers. As priests, we are still equal. Lumen Gentium 10 says that these two kinds of participation in Christ’s priesthood “differ from one another in essence and not only in degree.” This seems to lend credence to the idea that one is higher. Avery Dulles, however, repeatedly pointed out it was better understood as “differing from one another in essence and not in degree,” that is, that they are different kinds of participation, but one is not higher than the other. Plus, we have only to look at scripture to see Jesus’ idea of leaders clamoring for a “higher status” – and it is not well received. Those called to leadership are called as servants. Which goes to the distinction between ministry and service. As I missed something, its entirely possible he hit something right on, but the follow up was insufficient. The two words, in a Christian context, are both translations of diakonia. All ministry is service. Fair enough to say that not all service is ministry, but the distinction is not about ordained and lay, but about the nature of the service. Rather like the distinction between skills and charisms, wherein the later are always for the building up of the Body of Christ. Possible confusion comes from an infamous interdicasterial instruction that attempted to limit the term “ministry” to the ordained back in 1997, wherein this dichotomy was presented – yet every pope since (John Paul II, Benedict XVI, and Francis) have referred to lay ministry, as have most bishops conferences and other documents of the curia. Finally on vocations. Put simply, everyone has a vocation. There are hardly only two options for lay people, and in fact, the two mentioned were only one kind of vocation – relationship – which is also called a state of life. Everyone also has a vocation to ministry/mission and to spirituality, at least. Some of the faithful are called to marriage, consecrated life, celibacy or single life. Some of the faithful are called to serve the church’s mission in the world, some as ecclesial ministers. Some of the former take vows, some enter into a sacramental relationship, though not all. Some of the later are ordained, though not all. Not all celibates are priests, not all priests are celibate. Not all lay people are married, and not all married people are lay. When talking vocations, it is confusing to try and force the square peg of relationship into the round hole of ministry. But, that is one of the services offered by seminary, correction to mistaken ideas about the people you are called to serve. I will come unto him and dine with him and him with me. Pulled from the archives, i found this file on vocations, created for one of scouting’s religious emblems programs. I cannot for the life of me find the original attribution, if there was one, but we made several adaptations anyway. This version was prepared by me, for the Archdiocesan Committee on Catholic Scouting in Seattle, several years ago. 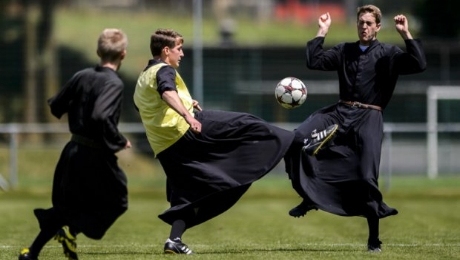 Still worth a reminder: there’s more to vocation than priests and nuns. There was a time when, if somebody said the word “vocation”, people would think mainly of “priests and nuns”. However, the Catechism of the Catholic Church defines vocation as “The calling or destiny we have in this life and hereafter.” Today the church clearly uses the term to refer to the calling each of us has to use our God-given gifts to participate in the mission and ministry of the Church: All Christians have a vocation. Each person’s vocation has three components: The first part is the call to faith. The second is the call to relationship. The third is the call to ministry. The call to relationship is sometimes referred to as your ‘state of life’. Each of us is called to love everyone around us. But, we obviously do not love everyone in the same way. The call to relationship is about how we love the people around us, how we are in relationship with other people. Some people are called to marry and raise a family. Some are called to take vows and live in a religious community with other people who make the same vows. Some are called to remain single for life and not get married (this is called celibacy). Most people spend several years as single persons before committing to marriage, religious life, or celibacy. The call to ministry is probably what most people mean when they talk about vocations. This is about what you do as a member of the church, and how you participate in the mission of the Church. The Church’s mission is to carry on the mission of Christ: Proclaim the good news of God’s saving love for all people; to establish a prayerful community of believers; and to serve the needs others, especially the poor and marginalized. Through our initiation by Baptism, Confirmation, and Eucharist, each member of the church takes responsibility to carry out this mission of Christ in partnership with other church members.While everyone is called to contribute to the common mission of the church, not everyone is called in the same way. After all, we each have different gifts and talents. Within the call to ministry there are two essential groups:Lay ministries and ecclesial ministries. Lay ministries are sometimes called ‘the lay vocation’ or ‘the lay apostolate’. The word “lay” comes from the Greek term laos theon (People of God). The people whose calling is to lay ministry are called “the laity” or “lay people”. They are the people chiefly responsible for the mission of the Church in the world. This includes evangelizing (bringing non-believers into relationship with Jesus), doing works of charity for the poor, advocating for justice to eradicate poverty, and transforming the world so it is more like Christ. With such a big job, it’s a good thing that 99.7% of all Catholic Christians are called to lay ministry! Ecclesial ministries get their name from the Greek word ekklesia which means ‘assembly’ or ‘church’. It basically means official church ministries. Ecclesial ministers serve the pastoral and spiritual needs of the Church members by preaching, teaching, and sanctifying (inspiring others to holiness). They are often, but not always, the most visible leaders within the church and most are employed full-time by the church. Some are ordained (Bishops, Presbyters, and Deacons) but others are not (Theologians and Lay Ecclesial Ministers). They make up the remaining 0.3% of the Church’s members. It is always important to remember that “there is a variety of gifts but always the same Spirit; there are many types of service to be done, but always the same Lord, working in many different kinds of people; it is the same God who is working in all of them.” (1 Corinthians 12.4-6) In other words, each vocation is different, but they are all equal. This section lists a variety of currently recognized ministries in the Catholic Church in Western Washington. It is not complete: New ways of serving God’s people are constantly developing as needs are identified and awareness is sharpened. Traditional church roles can take on new characteristics as the culture and social climate changes. 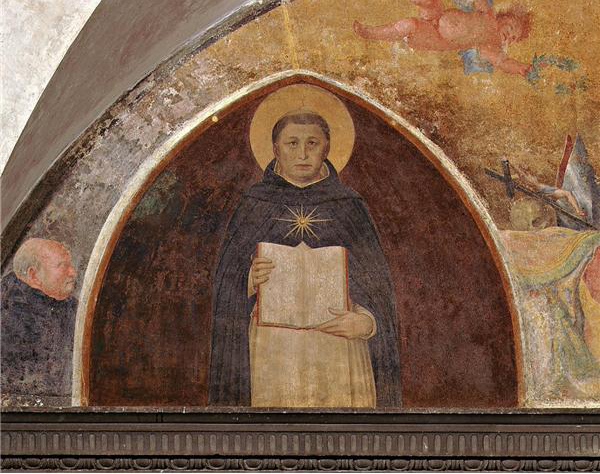 Today is the feast of San Tommaso d’Aquino, patron of my current university, of academics and theologians everywhere. Unfortunately, as I was trying to beat a cold, I was unable to get to the celebration of our Patronal Feast at the Angelicum this morning, with Archbishop Agustin DiNoia, OP, but a friar friend has put some photos up on the university blog, so check them out! I have never claimed to be a Thomist per se, for as one of my first university philosophy professors said, “If you are going to be a Thomist, you have to be a damn good one.” I am fascinated by the Angelic Doctor, but I see him as one (important) contributor to the Catholic, Christian theological tradition, rather than devoting all of my studies to him and his works, which is what it would take to be a “damn good” Thomist. Truth be told, though, even that would not be enough – I am not convinced Thomas would approve of such narrowed focus! He was, after all, the Great Synthesizer, and did not hesitate to use a variety of Christian sources, as well as Jewish, Muslim and pagan ones. When I was an undergraduate, I had a friend who was studying medieval philosophy, almost exclusively with the late Ralph McInerny – who is a Thomist. He and I would have many long debates some of which revolved around the maxim of the Papal Theologian: “Never mix philosophy and theology, because philosophy always wins!” My friend felt that, as a medieval philosophy with a particular focus, he was therefore an adept theologian. As a theologian with a much broader view of Tradition, I often had to remind him that this was not the case! No matter how profound and how great the tradition, no one theologian encompasses the whole of Catholic theology, much less the attendant pastoral, liturgical, historical and other issues that interact with theology in the lived experience of the Church. I have always had a great affinity for Thomas, first as a theologian, and in more recent years as a patron for “new” vocations, such as lay ecclesial ministry. 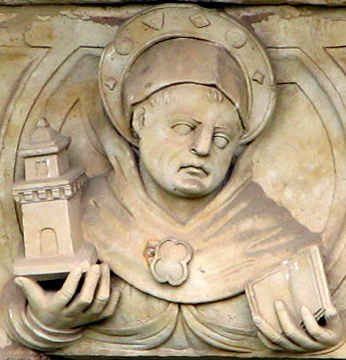 As a theologian and student, his peers dubbed him the “Dumb Ox” – dumb as in mute – to which Albertus Magnus supposedly retorted, “That ‘dumb ox’ will one day fill the world with his bellowing!” Thomas was no quick wit. He would not have made it as official Catholic commentator on Fox News or CNN. He was big, slow to move and slow to speak, and as with any good introvert, would fix you with a stare in response to unexpected questions that probably left less astute contemporaries wondering if he really was all that bright. He is an inspiration to any systemitizing introvert who has been caught in the spotlight by “think out loud” extravert peers! According to his father, the Count of Aquino, Thomas was going to be groomed as the Abbot of Montecassino, an old, established, and wealthy Benedictine Abbey not too far from Rome. This was the normal sort of ecclesial vocation of his era – monastic life. It was how you served the church successfully. It was expected. It was “just the way things were done”. You want to serve the church? Fine, join the monastery. But he would have none of it. 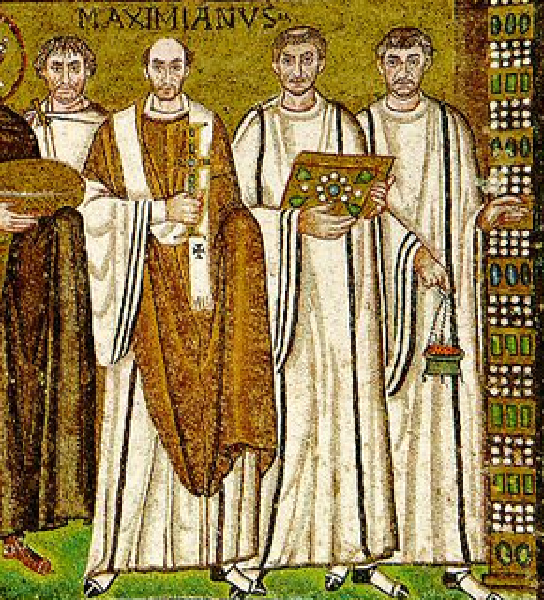 At 19 he ran off to join some newfangled wannabes who were kind of like monks, but not really monks – and I doubt the real monastics would have been too happy if you called these mendicant friars “monks”! They had only been around for 40 years. They did not spend their time at the monastery but wandered around the countryside preaching, teaching, and doing God-only-knows what else that was properly the ministry of monks and diocesan clergy. This was not right!! How dare they? So, his family did the only respectable thing to do – they arranged for him to be rescued from this cult, threw him in a locked room and commenced a serious deprogramming effort. A year later, he remained committed to his vocation. He was called to serve the church, clearly, just not in the way that his parents and grandparents generations took for granted. It looked a little different. The charism was a little different. New terminology had to be used to explain it. There were bishops who did not support it. People worried about the confusion of identity of traditional monastic life – of monks and nuns – with this itinerant innovation of mendicant life – these friars. Even a few years later, after being ordained in this “new order”, he spent time writing defense of the vocation he was living. Some critics argued that real ministers would be spending their time in prayer and sacramental service, not defending and defining a “new” vocation! 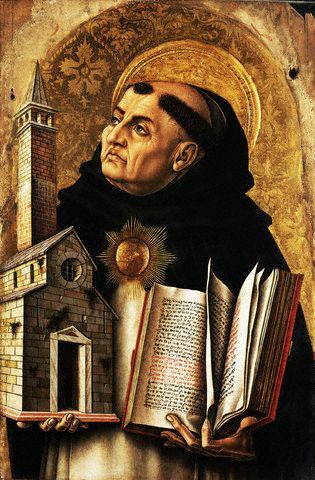 St. Thomas Aquinas, patron of “new” vocations, pray for us! His study has a view of a small courtyard where the papal guillotine once stood, and where a pillar likely used for the flogging of heretics and criminals can still be seen. The corridor leading from his office is lined with Roman tombstones, and the Swiss Guard are omnipresent with full regalia and halberds. Once known as the Master of the Sacred Palace, the Theologian of the Papal Household has four large paintings in his room each depicting miniature portraits of his nearly 100 predecessors (all Dominicans), starting with St. Dominic himself. Fr. Wojciech Giertych, OP was appointed in December of 2005 by Pope Benedict XVI, and is just beginning his fifth of a five-year term of office. A Polish Dominican born and raised in London, he describes himself as a true “prisoner of the Vatican”, albeit in a gilded cage. Outspoken, jovial, and unafraid to tell it how it is, Fr. Giertych shared with the lay centre residents his thoughts on Thomas, on theology and philosophy, the vocation of the laity, the challenge of contemporary religious life, contemporary challenges arising from the “crisis of 1968” (not Vatican II, note) including relativism, and the practical life of a Vatican officer. One might be inclined to ask, “Why does the pope need a theologian?” especially a pope like Benedict, the first theologian to be elected pope in a couple centuries. Traditionally, there were three duties ascribed to the office: Offering theological instruction to the papal court (back when most of the court were not monsignori with doctorates in theology, philosophy, or canon law), reviewing any theological books published in Rome, and vetting the papal addresses (especially important at a time when most popes were politicians, warriors, or, worse, nobility). Now, this means reviewing the drafts of papal allocutions drafted by the staff of Vatican speech writers, though he is neither the first nor the last word on the matter. And, Fr. Wojtech points out, his role is to examine theological content and look for phrases that could be misunderstood, especially by mass media – not to judge the prudence of an address (questions around Regensburg were raised). The most interesting papal addresses are the ones he does not see – those that the pope prepares personally: in Benedict’s case, his encyclicals, major homilies, and annual advent address to the Roman Curia. Given how much is written for the pope, it is like having a graduate seminar with Professor Ratzinger almost every day – even if the personal meetings are less often. 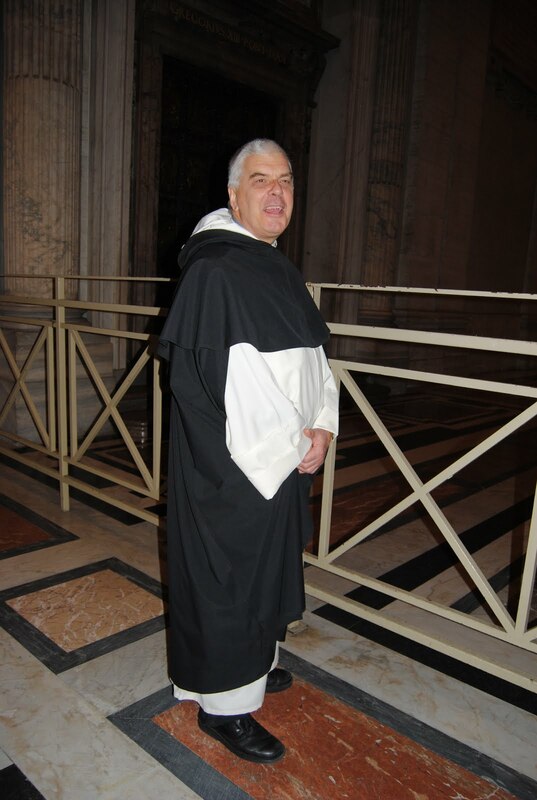 Occasionally the various dicasteries in the curia ask him for theological input on a document, and he serves as consultor to the Congregation for the Doctrine of the Faith. In one of the oldest continuously operating bureaucracies on the planet, he’s one man serving in an office consisting of only himself. It can be hard to tell what effect his work is having without the constant interaction of peers. This touches on one of the challenges for a friar used to life in community, used to working and living in constant contact and consultation with other people, now working in a more solitary position. He did get invited to lunch with the pope, once. It is fairly common knowledge that Pope Benedict normally prefers to eat alone or with the sisters who prepare his meals – understandable for an introvert in an intensely public office! However, when a film crew came in to film a “day in the life of the pope” for international TV consumption, it happened that the Holy Father would be seen having a ‘working lunch’ with three members of the papal family, including, as it happens, Fr. Giertych. (“A great, open conversation. We three had wine, while the pope had juice”) As it was viewed around the world, some cardinals expressed how lucky our Friar Preacher was – even they had never had lunch with the pope! “Never mix theology and philosophy, because philosophy always wins.” Despite the irony of such a statement from a Thomist, or perhaps because of it, this comment alone sparked a conversation that continued with some of us well after Fr. Wojciech left for the evening. While philosophy – in the broad sense of all the ‘sciences’ and other disciplines – can serve the church and our study of theology, they should never be confused as if they are theology, or as if the revelation of the Word should be judged according to the criterion of philosophy, politics, or social sciences. When this happens you end up getting the problems that, for him, have stemmed especially from 1968, and include the identification of the faith with one political party (‘as a good Catholic you must vote for candidate X or party Y’), the revision of the life of faith to fit in with what people expect from other fields, and end up with relativism (‘there may be a Truth, but we can’t know the Truth, so you have your truth and I have my truth’). The conversation got really interesting as we delved into the vocation, identity, and relationships of the laity, clergy, and religious. Religious should be visible in the world, and laity should be “discreet” (leaven in the world, to use another phrase) – and we have had trouble with religious being more like laity and laity being more like religious. Specifcally, he noted some religious orders without habits of any kind (“it doesn’t matter what kind: a modern habit or a medieval habit or a 19th century habit”) living in apartments where you can hardly find them, or some of the lay movements whose first order of business seems to be deciding what kind of habit to design – and the more medieval the better! When I asked about lay people serving in ministry positions, his response was about people wanting to be the lector all the time, or spend all their time helping at the church because something is amiss in their real life or they do not understand that the primary lay ministry is in the world, not collecting money at mass or something, “don’t spend your life holding on to the sacristy door”. But what about lay people serving the church in a paid, full time manner? Even the Roman curia has lay ministers in its employ? “Well, of course the church will always need administrative personnel, computer technicians, finance experts, people to manage the facilities – especially in places where the church is burdened with such institutions as schools and hospitals”. Pastors should not be “running the plant”, but should be engaged in sacramental and pastoral ministry. But even this was more about ‘secular’ jobs that one could do for the church or for another entity, not so much ecclesial vocations; we tried a different track: We are here in Rome, studying at pontifical universities, to get ecclesiastical degrees – what would he expect for us to do with them? “We have a saying in Poland: man cannot live on theology alone!” As a lay person you should be thinking of making a living, to support a family, you cannot do this with a theology degree. You cannot come from a degree and demand a job from the bishop – he may not have the money. [Can you imagine anyone demanding a job from a bishop???] We need the people (mentioned above) to be theologically trained, but it should be a secondary to your primary education. He shared his experience fromPoland, where a degree is a civil, legal contract – maybe in that system there is a “demand” to be employed in the field. But he wondered most people studying in Poland for theology degrees should have instead been studying harder subjects like medicine or law, but admitted that each country is different: “We have 100 friars living at the monastery in Krakow, 14 masses a day, confessions with two-hour waiting lines” and no experience of a non-ordained person devoting their life to the church outside of a religious community. “I’d rather see thirty ‘normal’ people give one hour a week, than to pay one person for thirty hours a week, if that person does not have the best formation…” But, he admits he may be wrong as he quoted the Dominican Cardinal Yves Congar, who wrote after being dragged to Rome to be questioned in the 1950’s, wrote in his journals “I may be getting the answers wrong, but these are real questions – and that’s what enervates these people here in Rome!” He was asking questions about the laity and ministry and looking to scripture and the patristic sources for answers. We have to keep asking these real questions, even if it takes time to get the right answers; that is better than ignoring the problems!